There are several stunning Phu Quoc beaches all with differing characteristics and accommodation options, but without being there yourself, it can be a bit tricky trying to work out the best area to stay in Phu Quoc, let along which Phu Quoc accommodation you should book. So in this guide, I’m going to share with you everything you need to know about where to stay in Phu Quoc so you can work out the which Phu Quoc beach and Phu Quoc hotels are perfect for your trip. 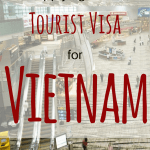 Heading to Vietnam? 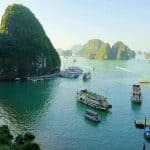 Click here to check out our full 3 week Vietnam itinerary. Which Phu Quoc beach to stay? Before choosing your accommodation in Phu Quoc, you’ll need to decide which Phu Quoc beach to stay at. 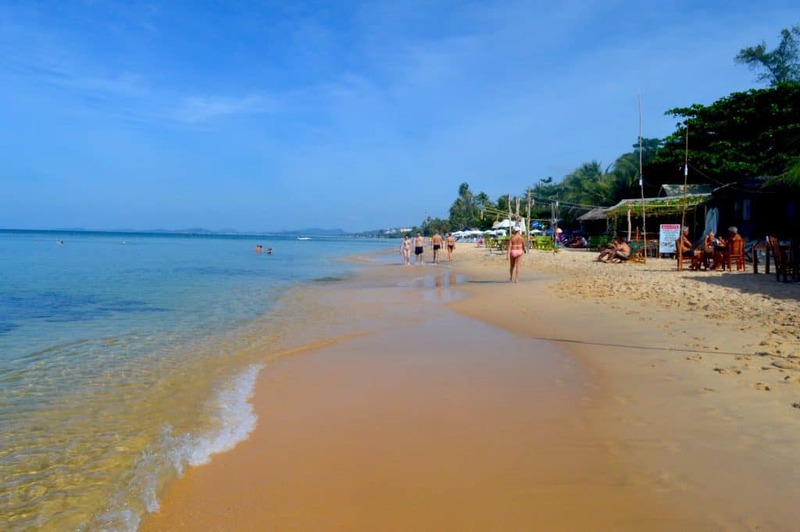 There are several stunning Phu Quoc beaches to choose from with the most popular beach to stay at being Long Beach. Other popular beach destinations include the Ong Lang Beach, Gahn Dau and Bai Sao Beach. You can check out the location of these beach destinations on the interactive map below. Long Beach is the most popular beach to stay at on Phu Quoc island and is where you’ll find most of the Phu Quoc Beach accommodation. Long Beach is named due to being, well, a long beach. The beach stretches for around 20 kilometres and is one of the most beautiful beaches in all of Phu Quoc Island. The water here is calm, warm and crystal clear – it’s one of the most beautiful beaches I have ever visited and given I am from Queensland, Australia this is a HUGE statement!! In my opinion Long Beach is the most beautiful beach on Phu Quoc. Long Beach houses the most Phu Quoc Island beach hotels, resorts and restaurants and is only around 10 minutes from the airport making it an ideal choice for travellers. Long Beach is also one of the best places to watch the sunset. Watching the sunset is a popular past time for tourists here. Just before sunset every evening you will see numerous tourists scouting out for a great spot at one of the many beach front bars – us included. With drink in hand, they settle back and watch the gorgeous colours of the sky as the sunsets over the ocean. The beachfront of Long Beach is made up of various resorts, hotels and restaurants. Many of the restaurants are directly on the sand. There are also various ladies offering massages or selling fruit right on the beach. Out on the main strip there are more hotels, resorts and restaurants as well as a few convenience stores. You can also catch taxis or rent scooters on the main street. 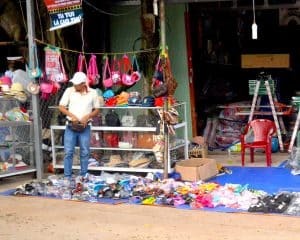 Apart from the odd store there is no shopping scene in Long Beach Phu Quoc – in fact anywhere in Phu Quoc – so there are no vendors hassling you to purchase their items or come and look in their store as you walk past as you have probably experienced in most south east Asian countries. The main city area of Duong Dong is right at the end of Long Beach and is home to the Phu Quoc night market. Depending upon where you are staying on Long Beach you can walk here or otherwise catch a taxi. Rooms from $119 AUD per night for 2 adults and 2 children. 52% of people who have reviewed the Orange Resort Phu Quoc on TripAdvisor rank this hotel as very good or excellent. 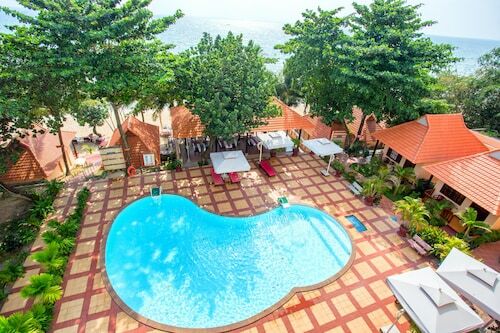 The Orange Resort Phu Quoc is set among a lovely garden on the beachfront and only a 10 minute walk to the main city area of Duong Dong, making it a great choice if you’re after the best place to stay in Phu Quoc – Long Beach close to the city. Bungalows include free WiFi , air-conditioning and include breakfast. The Orange Resort Phu Quoc amenities include – beachfront, airport shuttle and outdoor pool. Click here for the latest prices for Orange Resort and check availability. Rooms from $157 AUD per night for 2 adults and 2 children. 65% of people who have reviewed the Tropicana Phu Quoc on TripAdvisor rank this hotel as very good or excellent. The Tropicana Phu Quoc is set among a tropical garden on the beachfront and only a 15 minute walk to the main city area of Duong Dong. Family rooms include free WiFi, air-conditioning and include breakfast. Tropicana Phu Quoc amenities include – beachfront, airport shuttle and outdoor pool. Click here for the latest prices for Tropicana Phu Quoc and to check availability. Rooms from $93 AUD per night for 2 adults and 2 children. 35% of people who have reviewed the Kim Hoa Resort Phu Quoc on TripAdvisor rank this hotel as very good or excellent. The Kim Hoa Resort Phu Quoc is set among a tropical garden on the beachfront and only a 15 minute walk to the main city area of Duong Dong. Rooms at the Kim Hoa Phu Quoc Resort are rustic bungalows with modern amenities such as free WiFi, air-conditioning and include breakfast. The Kim Hoa Resort amenities include – beachfront, airport shuttle and outdoor pool. Click here for the latest prices for Kim Hoa Resort or to check availability. Rooms from $77 AUD per night for 2 adults and 2 children. Beach bungalows start at $87 AUD per night – we highly recommend these rooms, we spent a fantastic 5 nights in a bungalow only a few metres from the water!! Great if you’re cheap accommodation in Phu Quoc on a gorgeous part of the beach. 43% of people who have reviewed the Viet Thanh Resort Phu Quoc on TripAdvisor rank this hotel as very good or excellent. The Viet Thanh Resort Phu Quoc is set among a tropical garden on the beachfront and only a 20 minute walk or quick taxi ride to the main city area of Duong Dong. Rustic bungalows are basic but include modern amenities such as free WiFi, air-conditioning and include breakfast. The Viet Thanh Resort Phu Quoc amenities include – beachfront, airport shuttle and free use of the nearby Phu Van resort’s outdoor pool. 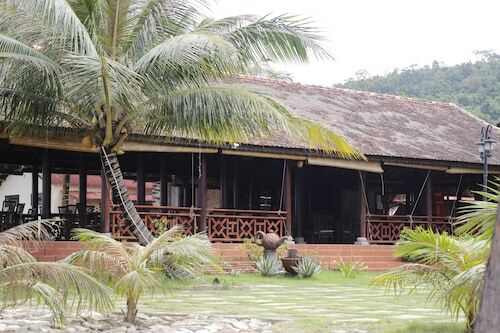 We spent 5 nights at the Viet Thanh Resort Phu Quoc and thoroughly enjoyed our stay. Just a word of warning the service is pretty bad here – but just eat somewhere else. Seriously if you’re looking for the best places to stay in Phu Quoc but on a low budget; you can not beat the price of these beach bungalows so close to the water and on an absolute superb part of Long Beach. Click here for the latest prices for Viet Thanh Resort Phu Quoc or to check availability. Located north of Duong Dong Town – Ong Lang Beach is very similar to Long Beach but has far less accommodation and restaurant options making it the quiet peaceful alternative. You can still witness Phu Quoc’s famous sunsets at Ong Lang Beach- except as opposed to Long Beach – you can find a quiet spot along the beach and enjoy them with no one else around. Whilst there are a few resorts dotted along the beachfront, most of the hotels and resorts here are tucked back from the beach. Everything is spread out here among the trees. There is a lot of farm land in this area and whilst we visited Ong Lang Beach we saw various animals like cows roaming the streets. If you like complete peace and quiet Ong Lang Beach is perfect for you. If you are more like us and need a little more action Ong Lang Beach is perfect for a day trip or perhaps you might spend a few days at each location. Rooms from $76 AUD per night for 2 adults and 2 children (at the time of posting the cheapest deals were on Agoda). 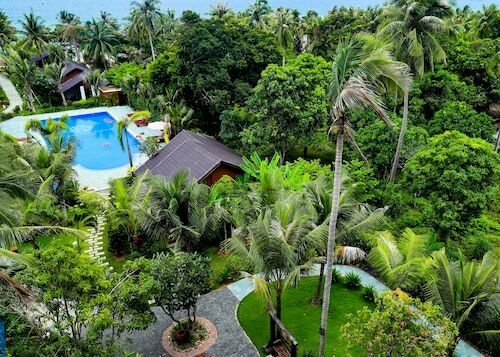 63% of people who have reviewed the Cottage Village Phu Quoc on TripAdvisor rank this hotel as excellent. The Cottage Village Phu Quoc offers family rooms 5-10 minute walk from the beach. The Cottage Village Phu Quoc amenities include – free bicycle hire, airport shuttle and outdoor pool. Click here for the latest prices on Booking.com or Agoda. Do your research and book with the cheapest. Click image for latest prices on Expedia. From $49 AUD per night for 2 adults and 2 children (at time of posting cheapest deals on Agoda). 60% of people who have reviewed the Palm Hill Resort Phu Quoc on TripAdvisor rank this hotel as excellent. The Palm Hill Resort Phu Quoc offers family rooms 5-10 minute walk from the beach. Rooms have free WiFi and include breakfast. The Palm Hill Resort Phu Quoc amenities include – free bicycle hire, airport shuttle and outdoor pool. Click here for the latest prices on Booking.com, Agoda or Expedia. Do your research and book with the cheapest. Rooms from $132 AUD per night for 2 adults and 2 children (at the time of posting the cheapest deals on hotels.com). 69% of people who have reviewed the Coco Palm Resort Phu Quoc on TripAdvisor rank this hotel as either very good or excellent. The Coco Palm Resort Phu Quoc has absolute beach front and offers family rooms with free wifi, air-conditioning and includes breakfast. 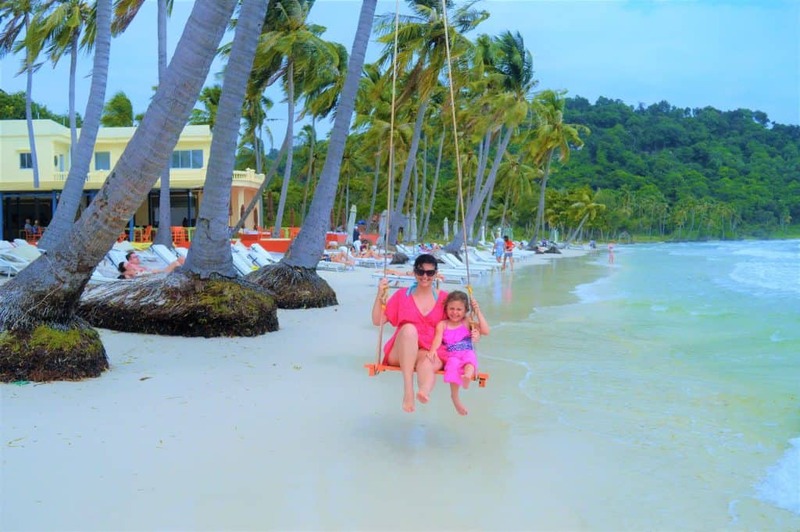 Coco Palm Resort Phu Quoc amenities include – kids playground and airport shuttle. There is no pool here – but there really is no need as the resort is located on one of the nicest parts of the beach with calm, warm crystal clear water. We visited the Coco Palm resort Phu Quoc for a day trip and found the resort pure bliss – would love to come back and stay here for a few days. Click here for the latest prices on Booking.com, Hotels.com or Expedia. Do your research and book with the cheapest. Rooms from $164 AUD per night for 2 adults and 2 children (at the time of posting the cheapest deals were on Agoda). 47% of people who have reviewed Ancarine Beach Resort on TripAdvisor rank this hotel as excellent. The Ancarine Beach Resort hotel offers family rooms with absolute beachfront, free WiFi and air-conditioning. The Ancarine Beach Resort amenities include – free bicycle hire, airport shuttle, fitness centre and outdoor pool. Want more Accommodation options for Ong Lang Beach? Bai Sao Beach is considered by most as the best Phu Quoc beach . Bai Sao Beach could be right out of a postcard with its perfect white sandy beaches, complete with coconut trees swaying in the ocean breeze. The ocean here is a beautiful green colour and the waves are soft – making it a great place to visit with the kids. 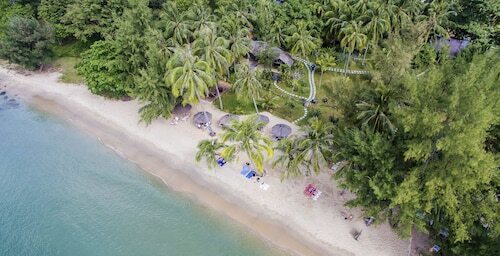 There are not many accommodation or restaurants options on Bai Sao Beach, even fewer than Ong Lang Beach. It is also quite far from any neighbouring areas. This makes Bai Sao Beach more ideal for day trippers or those wanting to escape it all. To get to Bai Sao Beach you will need to jump in a taxi or hire a scooter. We hired a scooter from our resort for the day for 200,000 VD (approximately $12 AUD) and the trip to Bai Sao Beach took around 45 minutes. The last couple of kilometres to reach Bai Sao Beach is down a dirt track – so don’t be concerned you are going the right way! There are plenty of signs towards the beach to reassure you are going in the right direction anyway. 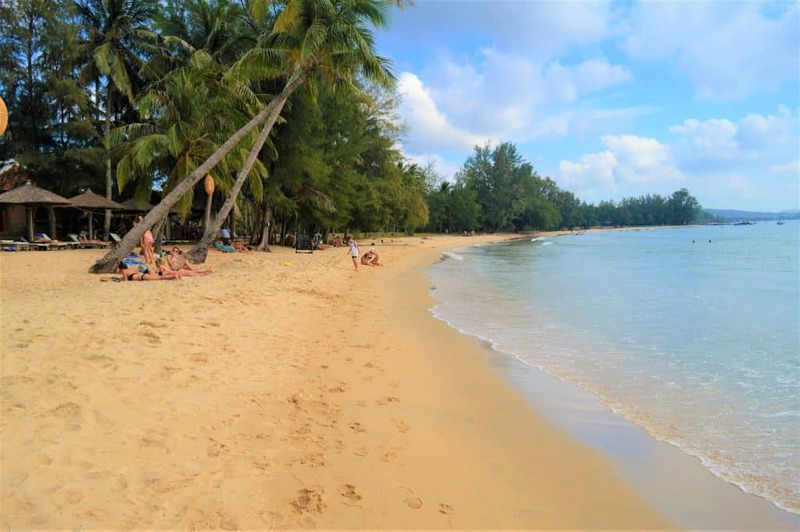 Whilst we agreed that Bai Sao Beach was beautiful and well worth the visit – in our view it was not the most beautiful Phu Quoc beach – we preferred Long Beach or Ong Lang Beach. Regardless a day trip to Bai Sao Beach is still worthwhile. Rooms from 1,400,000 VD per night (approximately $80 AUD) for 2 adults and 2 children. Nha Hang Resort has rooms are right on Sao beach and include wifi, air-conditioning and breakfast. Bookings need to be made direct with the Nha Hang Resort. 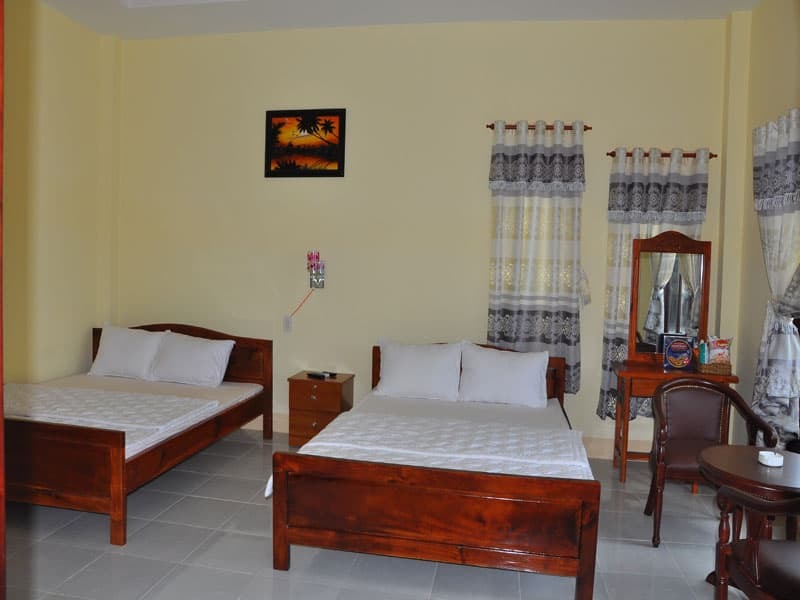 Families room at My Lan Guest House Phu Quoc start at $55 USD per night. Rooms include wifi and air-conditioning. Ganh Dau is located in the north west of Phu Quoc Island and is the area best known for Dai Beach – regarded as one of the most beautiful Phu Quoc beaches. 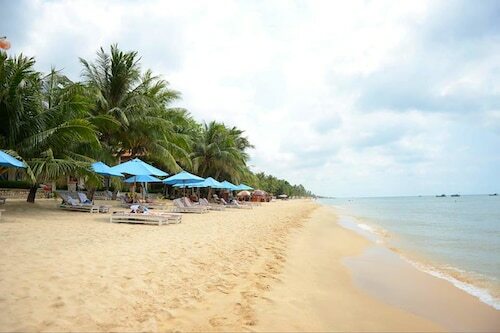 Unfortunately we were not able to make it to Dai Beach during our visit to Phu Quoc due to the construction of resorts making it not accessible by the public unless you were staying at one of the many resorts situated directly on its beach front. Sadly it appears this will be the future for many of Phu Quoc beaches, as we were also turned away from visiting Khem Beach for the same reason. In this area of Phu Quoc you will find a very upmarket resort area with several Phu Quoc 5 star resorts as well as a theme park, casino and golf course. The area is unlike any other currently on the island, although with the infrastructure we saw being built around the island I feel that this may become the norm for Phu Quoc. The area is great for families with kids who enjoy luxurious holidays. However if you are like us and prefer to stay among the local people – than Ganh Dau is probably not for you. We however enjoyed visiting the local village of Ganh Dau. It felt like we had gone back in time! The village is very basic and we loved exploring it. 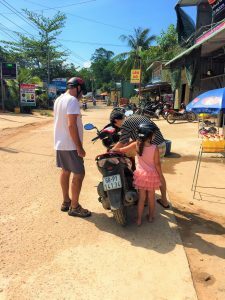 The people were probably the friendliest on the whole of Phu Quoc – I highly recommend a visit here – although it is quite far from the main areas of Phu Quoc – however if you have a motorbike like we did its worth a trip. 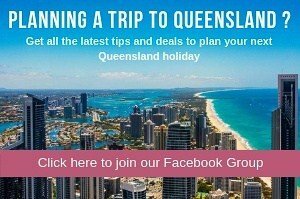 Rooms from $288 AUD per night for 2 adults and 2 children (at time the of posting the cheapest deals were on Hotels.com). 70% of people who have reviewed the Vinpearl Resort on TripAdvisor rank this hotel as either very good or excellent. This Phu Quoc 5 star resort offers luxurious rooms with free WiFi. The Vinpearl Resort amenities include – kids club, day spa, airport shuttle, fitness centre, tennis court and outdoor pool. 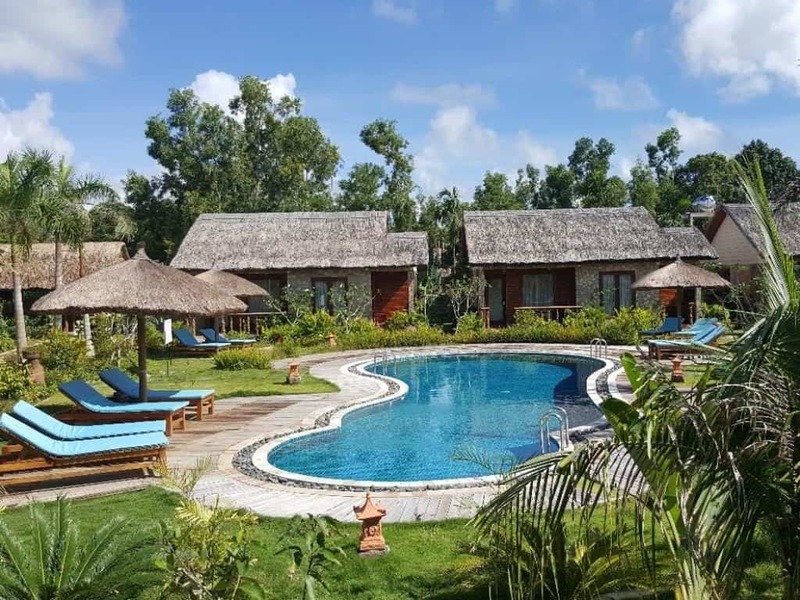 Rooms start at the Peppercorn Beach Resort Phu Quoc from $205 AUD per night for 2 adults and 2 children (at the time of posting the cheapest deals were on booking.com). 98% of people who have reviewed the Peppercorn Resort on TripAdvisor rank this hotel as either very good or excellent. The Peppercorn Resort offers family rooms with free WiFi , air-conditioning and includes breakfast. Resort amenities include absolute beachfront, outdoor pool, airport shuttle. We were advised that you could visit Peppercorn Resort as a day guest to enjoy the beach here, however when we arrived at the resort the gates were locked and we were advised by a staff member that they did not allow day visitors. Rooms from $244 AUD per night for 2 adults and 2 children (at the time of posting the cheapest deals were on booking.com). 90% of people who have reviewed the Gold Coast Phu Quoc on TripAdvisor rank this hotel as either very good or excellent. The Gold Coast Resort Phu Quoc offers family rooms with absolute beachfront, free wifi and air-conditioning. The Gold Coast Resort Phu Quoc amenities include airport shuttle. Want more Accommodation options for Ganh Dau? The main activity on Phu Quoc is exploring the beautiful beaches. The best way to do this is by hiring a motorbike or hiring one of the many taxis on the island. 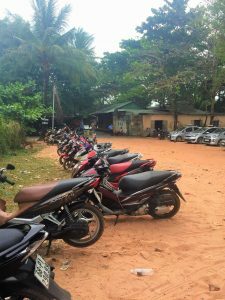 You can hire a scooter / motorbike for around 200,000 VD (approximately $12 AUD) per day. We found a tank of petrol lasted us the whole day and cost about 65,000 VD (approximately $4 AUD). Ham Ninh Village – a picturesque fishing village, according to Vietnam Online, it is known for its “breathtaking natural scenery and peaceful daily life of local fishermen”. Ideal spot if you are into fresh seafood. Phu Quoc Night Market – is an open air night market operating from 5pm to 10pm. We went to the night markets a couple of times – there is not really souvenirs here – its a great place for fresh seafood though at bargain prices! Hire a driver and take a DIY tour of the south of the island – According to TripAdvisor forums, you can hire a driver for approximately $42 AUD. On the south of the island attractions include Pepper Farm, Fish Sauce Factory and Sao Beach. Take a snorkelling trip – it is recommended to snorkel around the An Thoi Islands to the south or Turtle Island to the north. Book in advance!!!! We were not able to get onto any trips during our stay!!! Hire a boat to Fingernail Island located in An Thoi Islands. Fingernail Island is a gorgeous small island with small beach in the south of Phu Quoc. Don’t get confused though there is another island with the same name in the North. A private boat costs about 800,000 VD (approximately $48 AUD). We really wanted to do this – but simply ran out of time. 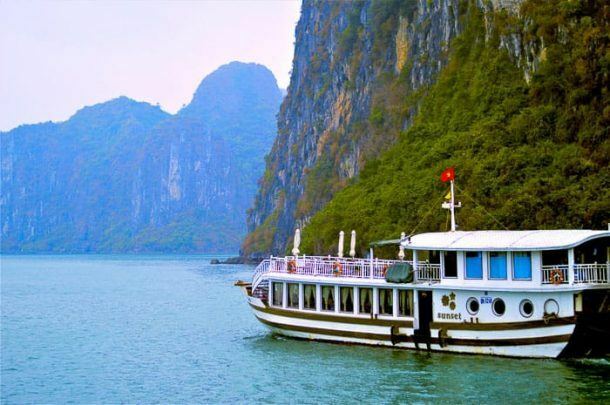 Sunny Boat Tours – day trips boat to the south or north of Phu Quoc. The tours include snorkeling, swimming, fishing and eating around the An Thoi Islands. The tour Cost is approximately $60 AUD for 2 adults and 1 child or $200 AUD for a private trip. As above – book in advance!!! They were booked out during our time in Phu Quoc. You need to get yourself to Ho Chi Minh City or Can Tho – both cities in Vietnam’s south. If you are coming from Australia – all the major capital cities have flights direct to Ho Chi Minh City. Jetstar are even now flying direct to Ho Chi Minh City from Brisbane (our hometown). 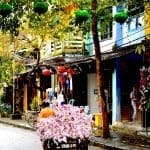 As always use skyscanner to find the cheapest flights and best route from your departure city to Vietnam. If you click on the skyscanner image below it will take you directly to their website. Once you have made your way to Ho Chi Minh City or Can Tho – there are two ways of getting to Phu Quoc – fly or by boat. Flights to Phu Quoc can be booked with Vietnam Airlines and are relatively inexpensive. You can fly direct to Phu Quoc from either Ho Chi Minh City or Can Tho. Flights from Ho Chi Minh City to Phu Quoc take 45 minutes and 50 minutes from Can Tho. The Phu Quoc airport is only about a 10 minute drive from the main area of Long Beach. The airport is very small and modern – check in is a breeze – so no need to get here super early – enjoy every second you can on those gorgeous Phu Quoc beaches!! For the cheap price, and short travel time I would recommend flying to and from Phu Quoc. Getting the ferry to Phu Quoc is only an option if you closer to Cambodia than Ho Chi Minh City. The only option from Ho Chi Minh City is by plane. 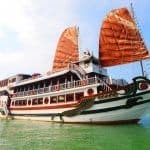 So if you are travelling to Phu Quoc from Cambodia or like us were in Can tho exploring the Mekong Delta than you have the option of going to Phu Quoc by boat. Please note though – I would still recommend flying if you are in Can Tho. Our flight to Phu Quoc from Can Tho was cancelled so we had to arranged to get there by boat. 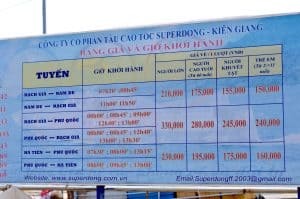 The Superdong ferry leaves from Rach Gia and the tickets costs 350,000 VD (approximately $21 AUD) per adult and 250,000 (approximately $15 AUD) per child. 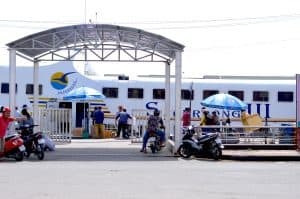 The ferry to Phu Quoc from Rach Gia takes 2 hours and 20 minutes and departure times are 8am, 9am, 12.40pm and 1pm daily. The ferry is very comfortable and movies are played movies during the ride across to the island. Rach Gia is about a 3 hour drive from Can Tho. The staff at our Can Tho accommodation arranged a driver for us at a cost of $70 US. 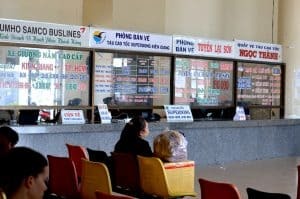 You can catch a bus, but given you would need a taxi to Can Tho bus station, then a taxi from Rach Gia bus station to the ferry and the fact that it takes quite a lot longer – it makes sense to just take a private car. Although if you are travelling solo and have plenty of time the bus will be much cheaper. To make an advance booking with Superdong you will need to send them an email as they don’t have an online booking system. You need to pick up your tickets at least a day before the date of your booking or they cancel the tickets. We picked up our tickets in Ho Chi Minh City during our stay there. I do recommend booking in advance – the ferry was jammed packed when we went. You can risk it though and purchase tickets on the day. If you are going to do this probably best to get there for one of their earlier departures. 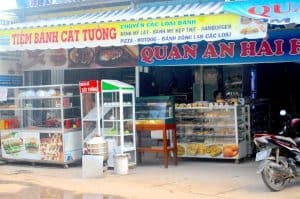 Once we arrived at Phu Quoc – its chaos at the other end – with heaps of transport operators trying to get our business. We basically went with the first guy who approached us after he advised it would be $10 US for the 3 of us to Long Beach. It ended up being a mini van and we had to wait for another family. They jammed us in there – but we made without drama to our resort. If you have any questions about Phu Quoc, please don’t hesitate to contact me or ask via the comments below and have a fantastic holiday in Phu Quoc!!! This post contains affiliate links, which means if you book accommodation via any of these links I will receive a small commission at no extra cost to you. Thank you for supporting out website. Want to save this for later? Click on one the images below and pin to Pinterest. Such a comprehensive rundown on Phu Quoc Island! I wish this was around when I was planning my trip there. I have to admit, we only got as far as Long Beach – it was so nice, we couldn’t drag ourselves away to experience the other beaches. Thanks Josie – I know seriously how good is Long Beach – it was my favourite on the island. Love the minty water and clean, secluded beaches! This is a great alternative to the crowded tourist beaches of Southeast Asia. Do you know how immigration/border checks work if taking a ferry from Cambodia to Phu Quoc? Wow so many choices! I was actually just in Cambodia and decided against going all the way down to the water. Seeing those picture I tell myself maybe I should have gone! I am sure you saw some amazing places during your trip. But Phu Quoc is so worth it in my view. Phu Quoc beach looks totally like my kinda beach! Esp Ong Lang beach looks perfect so me, as I prefer beaches with very less crowd.. Coco Palm resort looks like the perfect place to stay! Oh you would love Ong Lang then – it is so beautiful and quiet. SE Asia is a fantastic to travel around – I love it! This place looks amazing! I would love to be swinging in that swing at that beach! I will be adding this to my travel list for sure. Thank you for the hotel recommendations also, they are always needed. I love the massive amount of research on this post. The beaches of Phu Quoc appear so beautiful your lens. Which one of these is your favourite? Thank you – Long Beach is my favourite – it is beautiful and yet still has everything you need. The long beach appeals to me, with its night market. All of them are actually nice. Thanks for the useful links on the accommodation here. Makes it easier to figure out which one needs to be booked. Long Beach was by far my favourite – I love having everything around me – and it is so beautiful! Hey Jules glad you found the info helpful. 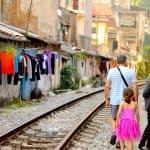 Have you checked out our 3 week itinerary around Vietnam? That might help you out also. Phu Quoc is the very South of Vietnam, in fact it is closer to Cambodia than Vietnam. It is 45 minute flight from HCMC. 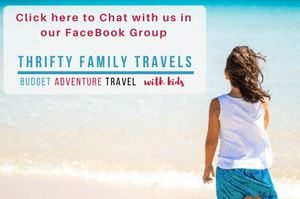 We did as you are doing Hanoi to HCMC – we visited Phu Quoc last and returned to HCMC to go back to Australia – any other questions feel free to ask. Hey Melissa. We are hoping to get to Vietnam over December. Our little one is 5 in January so we are trying to work out which parts of Vietnam will keep him entertained. I’ve been to Cambodia, Halong Bay and Hanoi before but hubby and son haven’t. 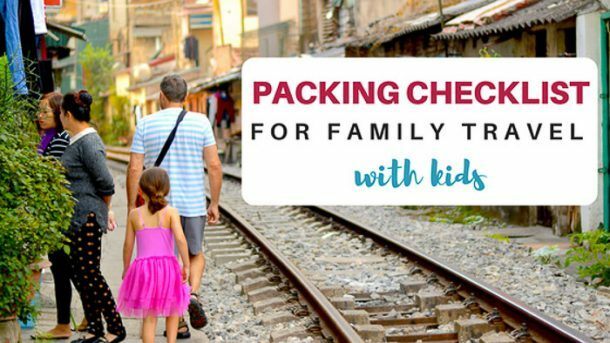 Can you recommend some places we shouldn’t miss out on for kids? My sister just went to Phu Quoc a few months back and she would concur with you that this island is a gem! I also like the fact there are no street peddlers hassling you to buy their stuff. Hey Danial – thanks for your comment. I am so glad your sister loved it. Great spot – you need to get yourself over there too! Hello everyone, my name is Le Cong and I want to practice my English skills. I am currently in Phu Quoc and can take you around the island by motorbike for free. I’m free on Sundays or some evenings of the week.